Little M has been all into Pinterest lately...I know, I've created a monster. But she's an artistic, creative little monster, so that's ok, right? Right? Little M saw these canvases on Pinterest weeks ago, and wanted to do this, and I had an extra canvas, so why not? We bought letter stickers at Michaels. They did not stick well at all, but worked well enough to get the job done. 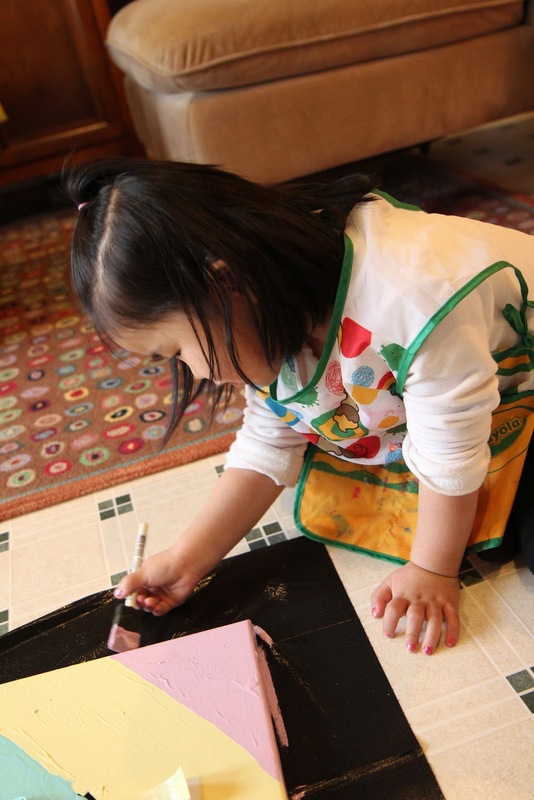 She chose her paint colors, and started painting. She did stripes, and since it was her project, I did not get involved in making the stripes even (even though it killed me a little bit). She worked hard on this, and she was so proud of her little self! 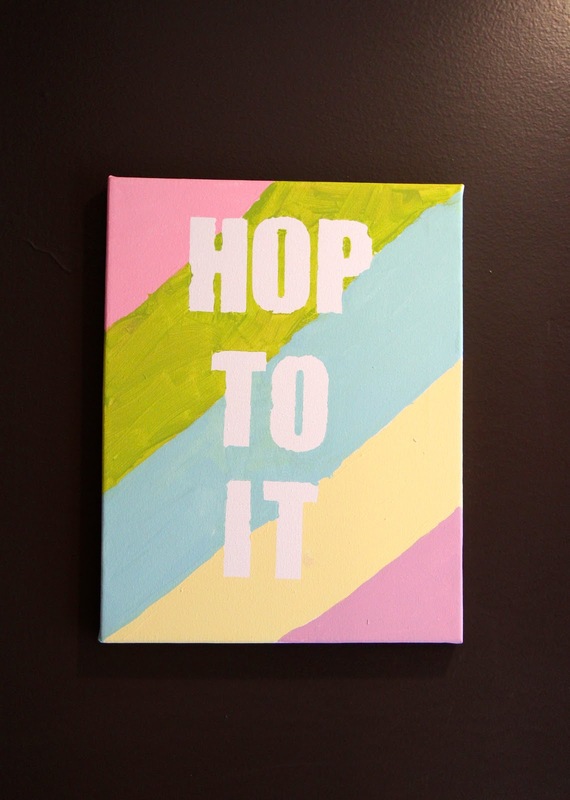 And now we have the cutest Easter art hanging on our wall! Nice work, Little M! It's perfect! How fun! Painting is always a favorite activity at our house. Love this idea!